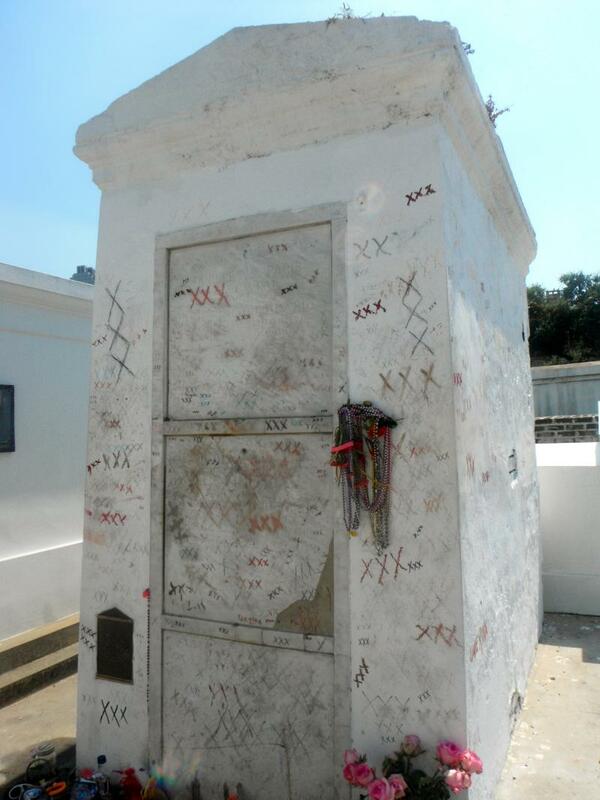 Update - Marie Laveau's tomb was vandalized in 2013. Since then access to her tomb has been restricted. 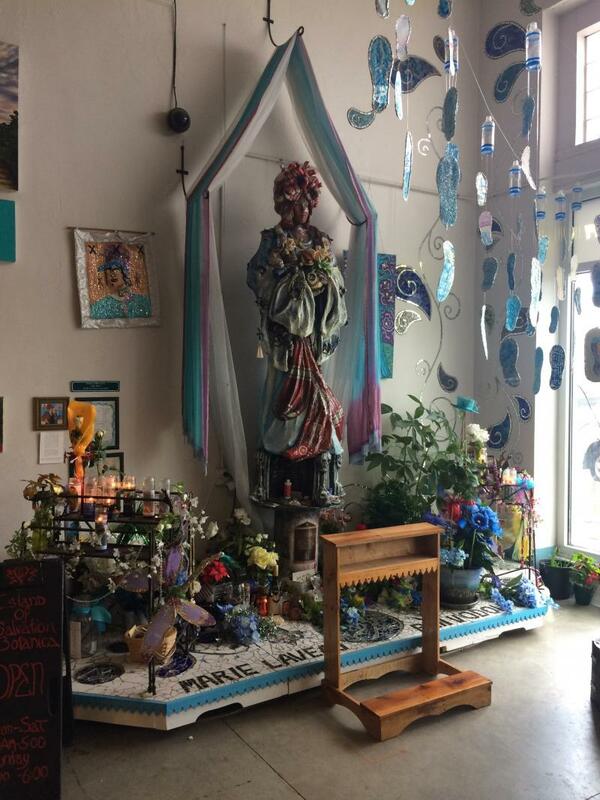 Thanks to the International Shrine of Marie Laveau, located in the New Orleans Healing Center, visitors can still make offerings to her shrine, within the Healing Center. This page is dedicated to the honorable and beloved Marie Laveau. Blessed Vodou Priestess, Queen of Hoodoo, Practitioner, Healer, Conjurer, Spirit Guide and Ancestor. I thank you Marie Laveau for your blessings upon me and the work I do in service for others. I visited Marie Laveau's tomb in September 2011. I had been to New Orleans several times before, however this was the first time I had gone to her tomb. It was a bright, sunny day in New Orleans. It was a Monday. And it was a Full Moon. I found her tomb easily. I listened intuitively for directions as I entered the cemetery and I was told to go left. I waited for tourists to pass by and then I went left. I had prepared offerings with me. When I approached her tomb, it was quiet. No one was around. Then from around the corner, the tomb keeper appeared. He was there to clean up and keep the area sacred. I asked him if I could help and I got down on my knees and started helping him clean up. He told me to go ahead and do what I had come to do and he gifted me with gold Mardi Gras beads. He told me he placed the beads on the tomb as the groundskeeper and they were his to give out as he saw fit. I was honored and thanked him and Blessed Marie LaVeau for the gift. I knocked on her drawer, said my petition and left my offering. Later that evening I attend a Full Moon ritual with the Witches of New Orleans and it was a phenomenal night. After my visit to Marie Laveau's tomb my spiritual life deepened and I found myself in deeper conversations with her. In October of 2011 on Halloween weekend, I returned to New Orleans for the very first New Orleans Witches Ball. On Monday, October 31, 2011 I returned to Marie Laveau's tomb carrying red roses to thank her for all the blessings I have received since visiting her tomb. Lo and behold as I entered the cemetery, a tour guide said "It is tradition that if Marie LaVeau grants your wish, you must return to her tomb and thank her". I had returned being led by Spirit, never knowing the "tradition", just knowing it was the right thing to do. And for this I honor Marie Laveau and thank her for her continued guidance, gifts and protection.